This is a very special occasion in the Town of Tarkindale. Everyone will be there: Karlo Battins, who tends bar at the Pox & Fiddle, Ellona Stubblechin, whose husband works in a miiiiiiiiiiine, and of course, our Fearless Adventurers! 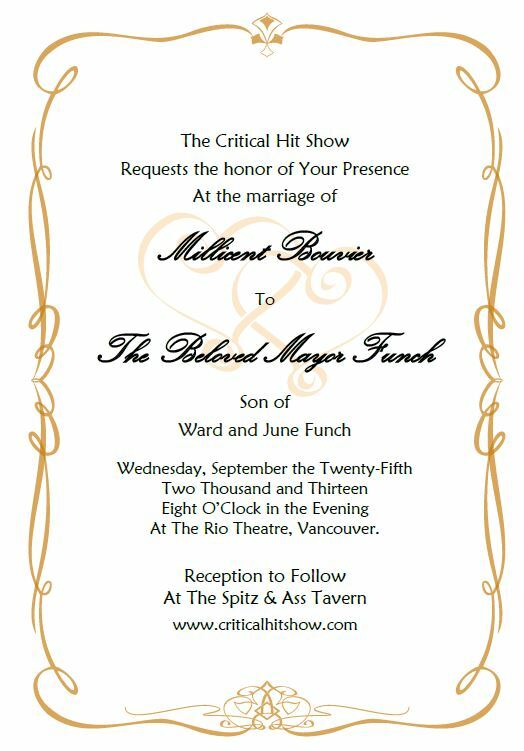 Oh, and besides the wedding there will be monsters and magic and mayhem and all the craziness you’ve come to expect from The Critical Hit Show! Get your tickets now!